They move quick. There is no much time to sit around. 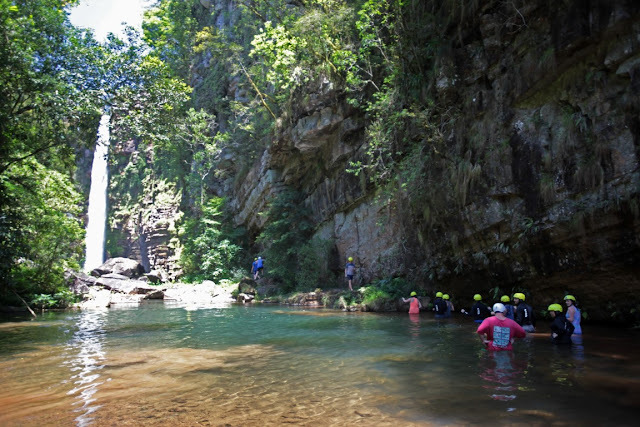 They move together in small groups or teams. 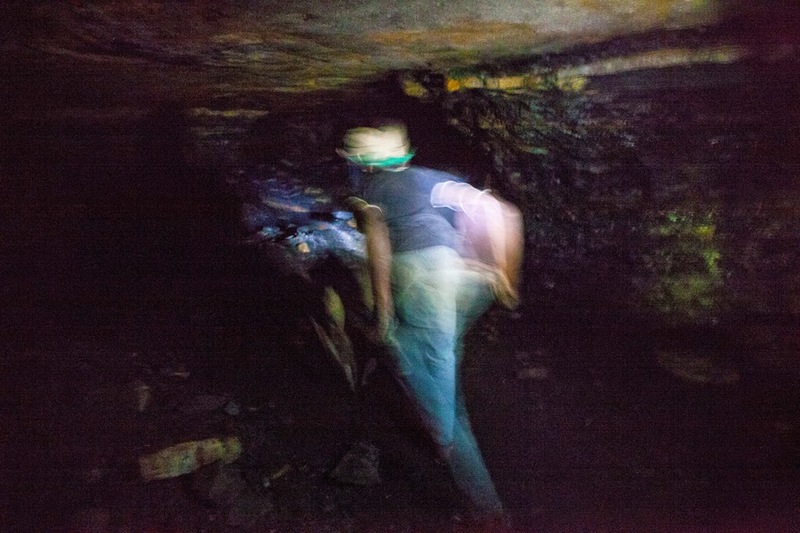 In the old disused coal mine in the koppies near Ermelo a group of men and women started mining the low grade coal. 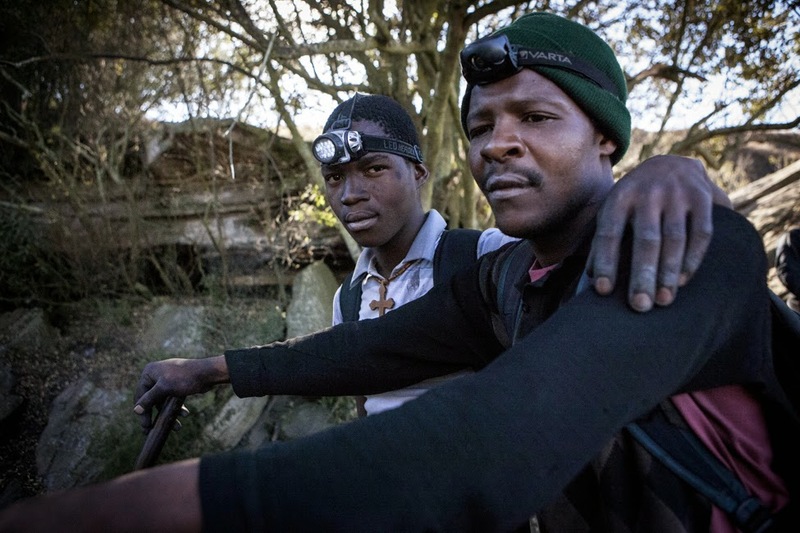 Member of the commnity say that the miners started mining the old mine in ernest from December 2013. Since then the activity have increased and more people came to dig for the black gold (Malalhe). 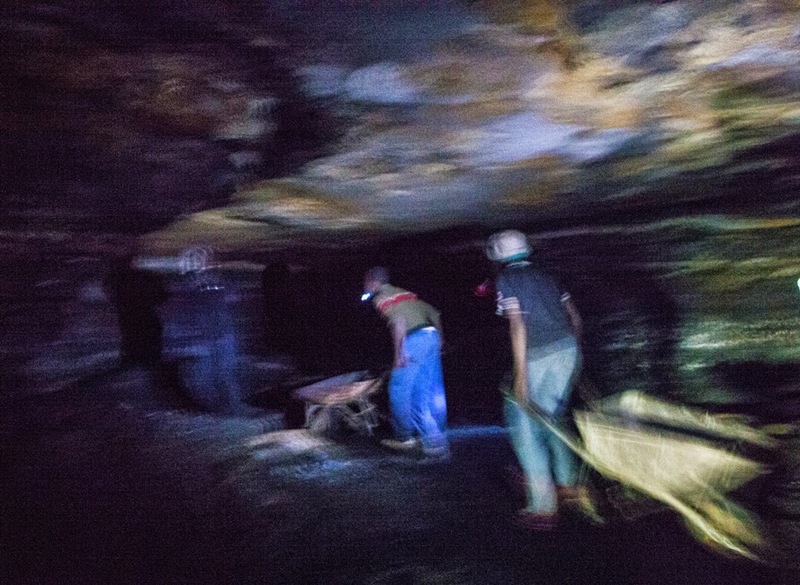 Most of the men use wheelbarrows and garden tools to dig in the dark of the tunnels. 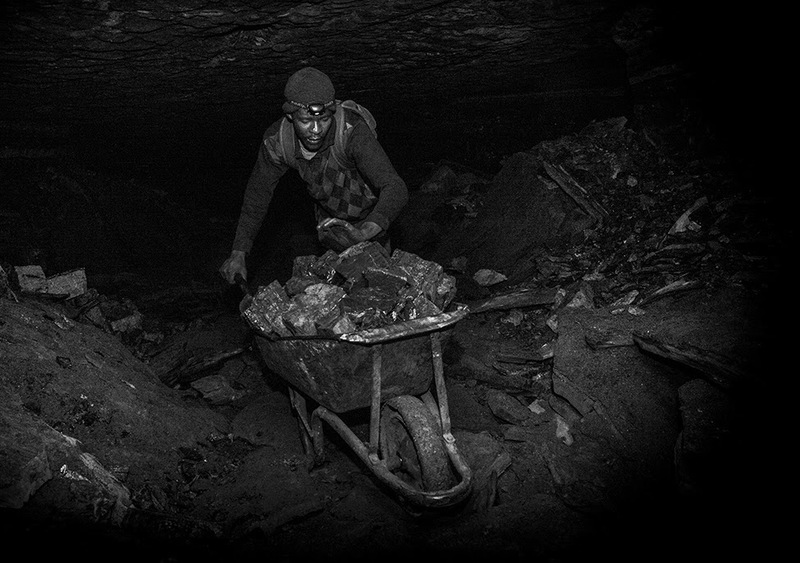 The women use bags or buckets to gather the coal and carry it out of the darkness. Some even use a candle for lighting. Local athourities are concerned for their safety. 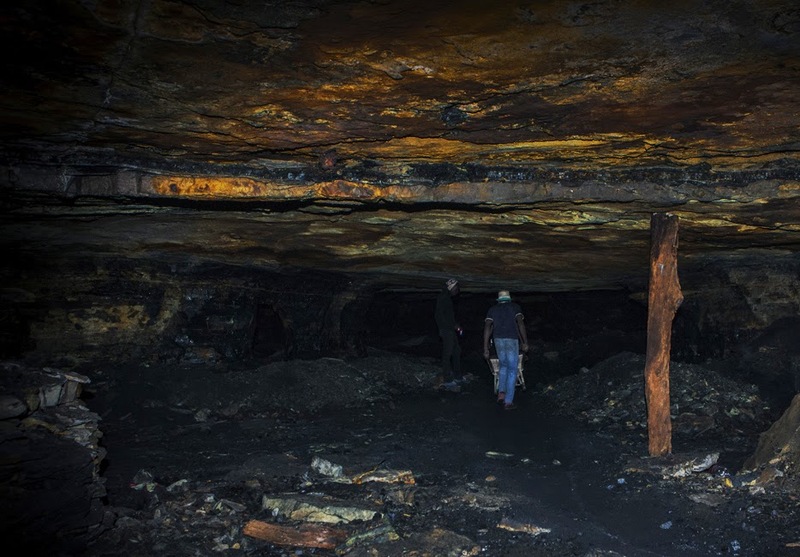 In many of the tunnels it is evident that conditions are treacherous and rockfalls are clearly visible. The wood supportbeams are clearly bowed under the strain of the roof of the tunnel. 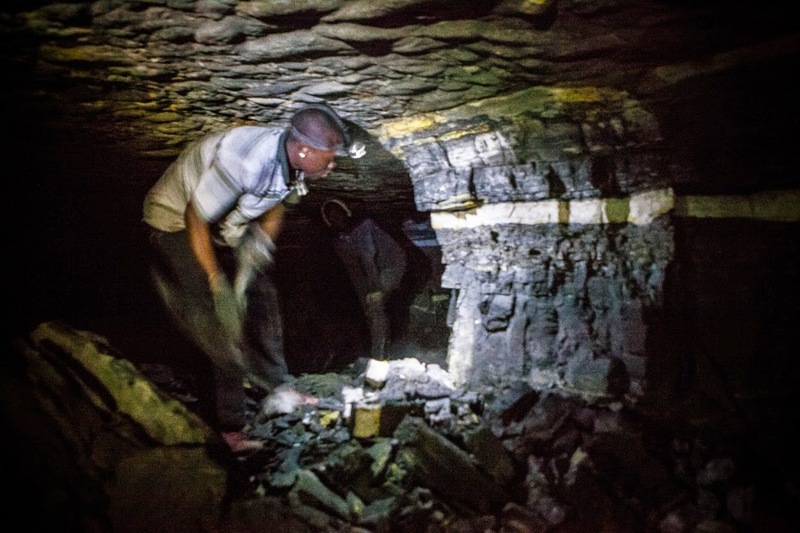 This is no deterent for the miners as they go deeper to where they can find the coal that is of beter quality. 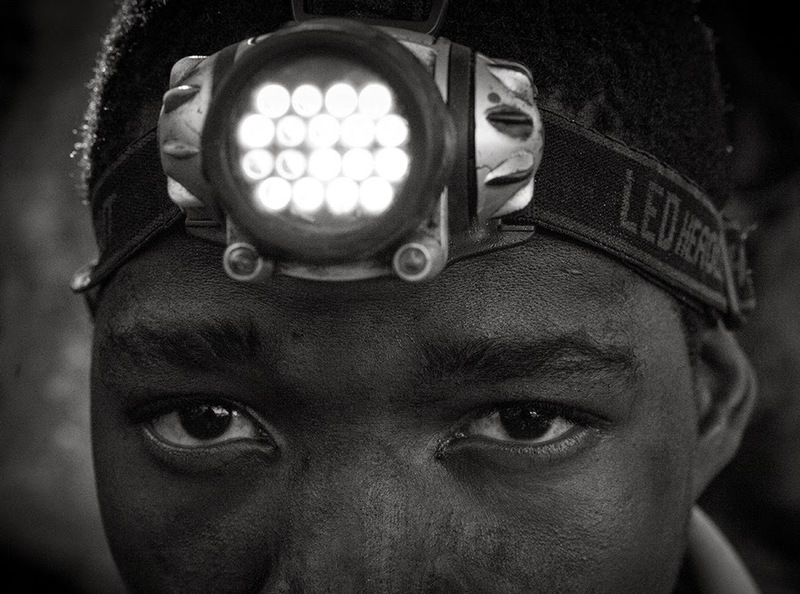 The men with their camping LED headlamps and wheelbarrows take out up to 15 loads a day. The load is then transport to the nearby township of Wesselton by the transporters. 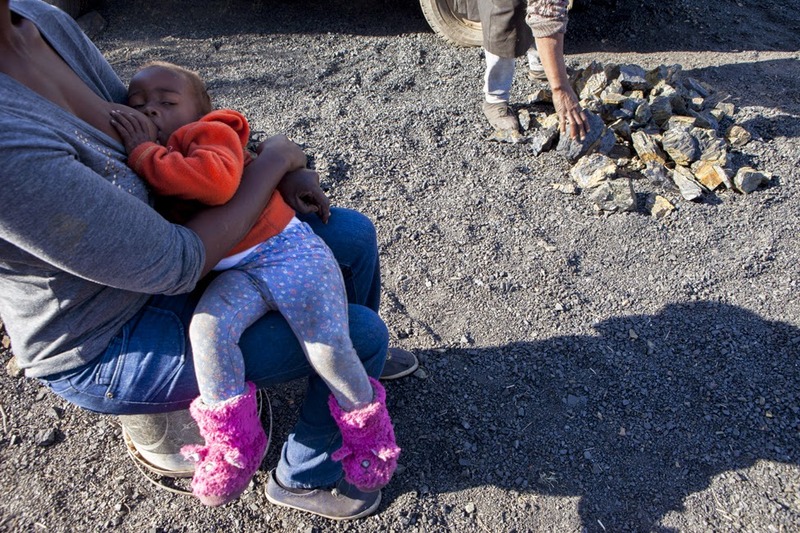 They do charge the miners for transport but finances is not discussed with strangers. "We only mine for our own use. And we don't do crimes like thieves."